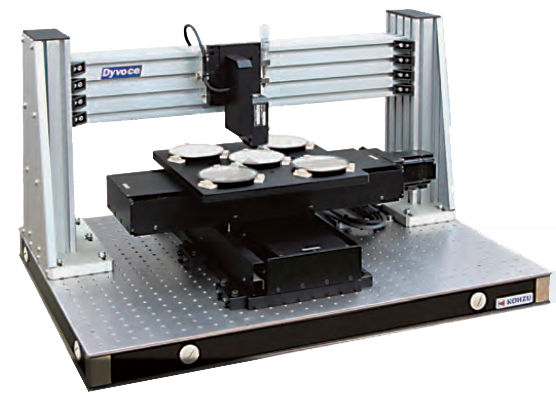 DYVOCE (Dynamic Servo Trace) is a non-contact laser displacement surface profiler with integrated high precision stages and controls with user-friendly software interface. These inspection systems are configurable for the customer’s application including the stage travel, optimal sensor and customized sample holder. The Dyvoce is an ideal metrology system for inspecting wafers, glass, film and PCBs.